Connect to more peace and joy through sound healing! This experience begins with an 11-minute meditation in preparing for our crystal bowl sound bath. Utilizing the yoga technology of mantra & mudra, the mind will be supported to move into higher levels of consciousness in preparation for the crystal bowls. Bring your pillow! 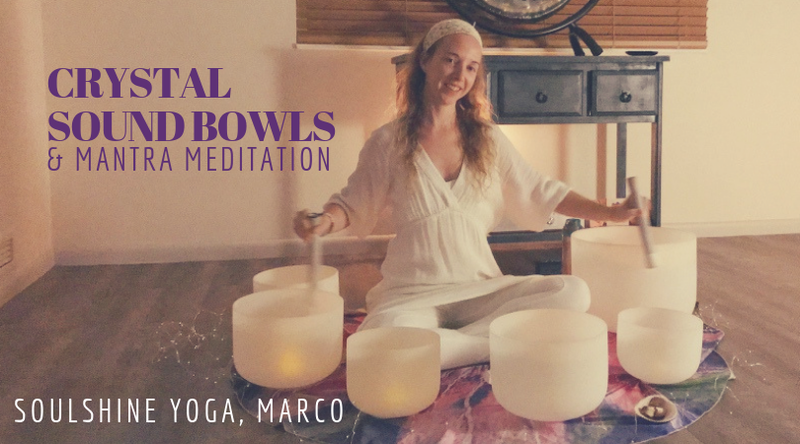 For the rest of the hour, let your whole body relax as you receive the healing sound vibrations of the crystal singing bowls incorporating guided meditation and mantra. You will leave the meditation experience feeling rejuvenated and refreshed! Bring a yoga mat, blanket & pillow.